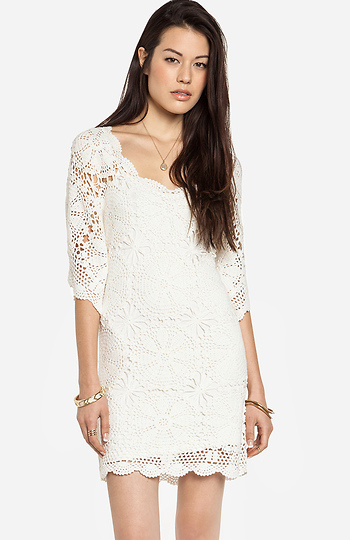 Mini dress featuring crochet lace overlay, removable knit slip lining, short sleeves, and scalloped edges. Can be worn as a cover-up. By Lucca Couture.